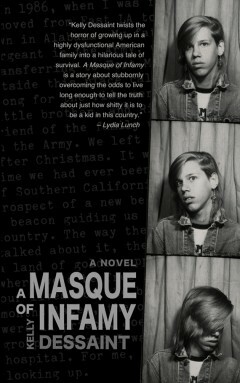 An unfavorable, but somewhat disconnected, review of A Masque of Infamy from The Avid Reader blog. I thought this book was an ok read. it was horrible but it wasnt great. Louis was the character who I liked the most in this book . The thing for me with this book is a didnt like the writting style. The plot of the book was good too, it was different and refreshing which I always love reading books that I dont read all the time. I also love the cover too, I think its very cool! I would recommend this book because I think there are people out there who would like it, mind you its not for everyone but its worth a read or a look.